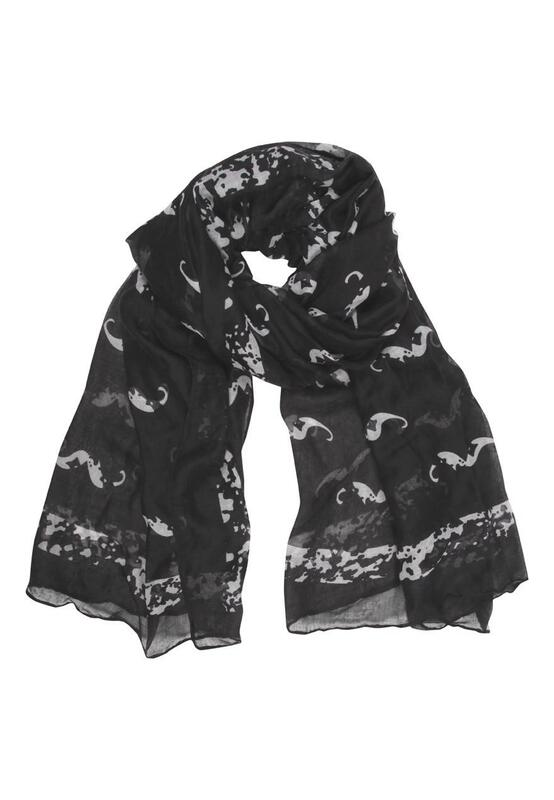 Complete you outfit with this all over print womens moustache scarf. In monochrome colours this versatile accessory is great with many outfits. Complete with an all over fun moustache print this scarf is perfect with a midi dress and ankle boots.